Return of the Sam Maguire to Edmondstown! 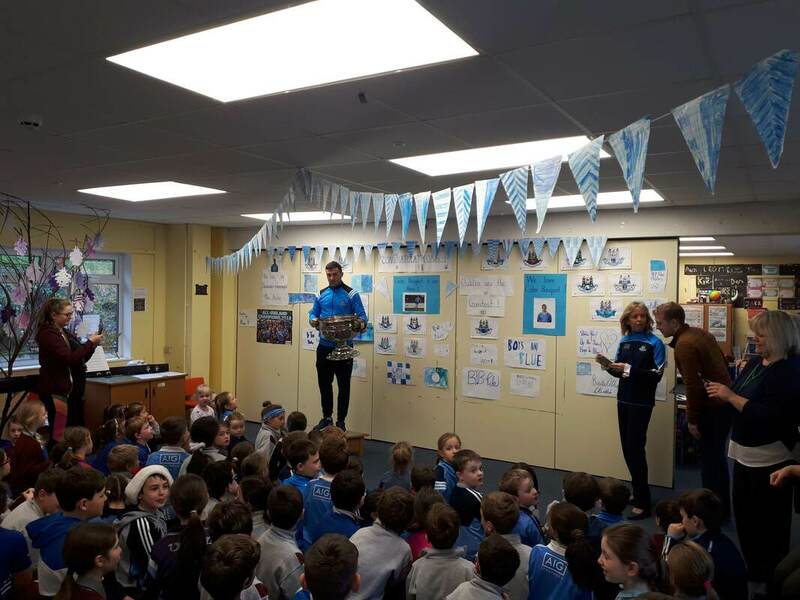 Dublin GAA stars visit our school! On December 14th, 2017 we welcomed players from the winning Men's and Women's Dublin GAA teams! 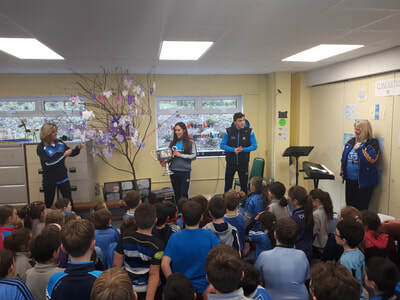 Hannah O'Neill and Colm Basquel brought along their championship cups and spoke to our students about the dedication, teamwork and self-care required to perform at the highest level! Ms. Wallnutt led the school in a rendition of 'The Active School Ditty' to remind ourselves of the need for exercise and healthy eating and living. See lots more photos under the Special Events tab. Sports and activities in your area! 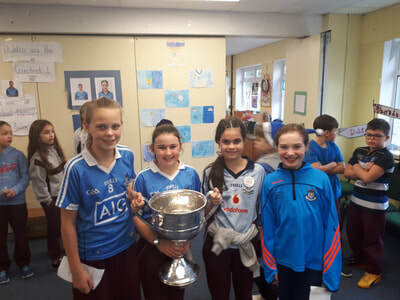 In Term 2 of the 2016/2017 school year, pupils on the Active School Flag Committee visited each class to find out how many pupils in each class are involved in different sports or activities outside school. Results of this survey can be found below as well as on our school’s ASF noticeboard in the main school corridor. The Committee members also asked pupils which clubs/groups they were in and trained with. We made this list available on our ASF noticeboard for parents’ information but we decided to make it available here also. Where possible, each club/group name contains a link to its own webpage for further information. Above all, we encourage pupils to find activities they enjoy so they can aim to reach a healthy target of 60 minutes of physical activity per day! 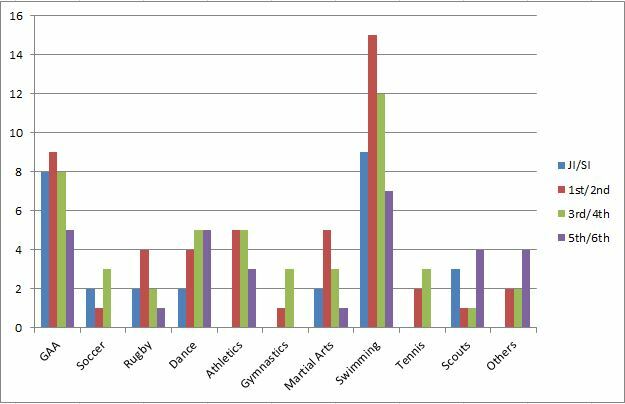 Before the Easter holidays (2017), the ASF committee conducted a survey to find out what sports/physical activities the pupils of Edmondstown NS participate in during their free time. The results of this survey are shown below.